Service Selection Board authorities Thursday said degrees from Ponnaihya Ramajayam Institute of Science and Technology University in Tamil Nadu won’t be taken into consideration while making selection for teacher posts. 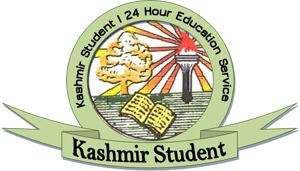 “If a candidate has degree from Kashmir University or any other recognized university by the State government and has also got M.Ed from PRIST, we have no hesitation to consider him for selection without taking the PRIST degree into account,” Chairman SSB, D S Bhagat said. However, he said, there were no candidates from PRIST University in Jammu division barring Kathua district. “There was no reason to withhold the selection list in these districts after the court had vacated the stay,” he added. The SSB chairman said that the list of Kathua district will not be released until court reaches to any conclusion on February 2 hearing. But, he regretted for failing to do anything with the release as the case was still pending in the court. “The minute we receive the directions from the court, we will start releasing the lists,” he assured. Meanwhile, the court has set February 2, as the next date for hearing and the SSB officials are hopeful of court arriving to some decision at the hearing. The matter was dragged to court in November last year when applicants with ‘fake’ degrees from PRIST University found their names dropped from the selection lists released by the SSB in local dailies. The authorities had to suspend the process of releasing the lists after court intervention. 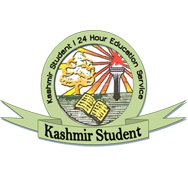 Despite advisory by University Grants Commission and clear cut circular from the University of Kashmir, thousands of students from Jammu and Kashmir have obtained ‘degree’ from outside state bogus universities, sources said. They said atleast half a dozen bogus universities have opened their ‘shops’ in different areas of the state where they ‘sell’ degrees to students. “These bogus universities sell PG degrees including B.Ed and M.Ed at handsome rates. Even one of these outside universities has been enrolling students as regulars. But the students even don’t to appear in the exams. They pay the money and get the degrees. There is nowhere mentioned in the degrees that the student wasn’t a regular at the campus which is a fraud,” they added.